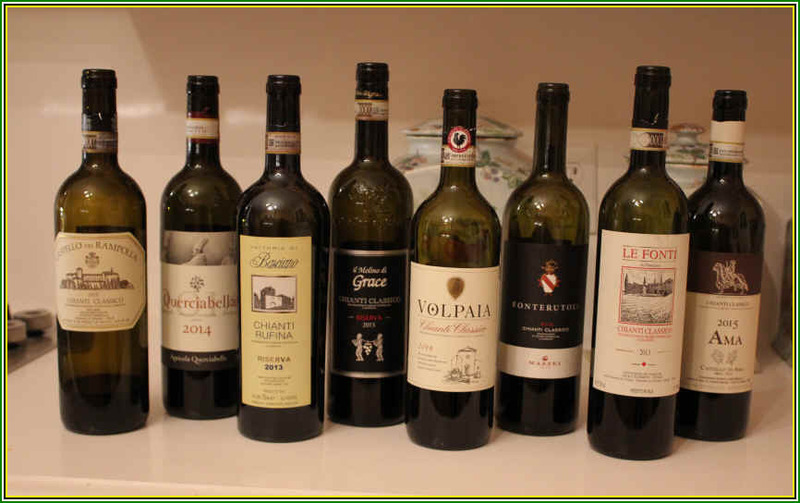 Few Vino Fino members are familiar with the wines of Tuscany, so we assembled a set of Chianti to taste for our September 2018 meeting. 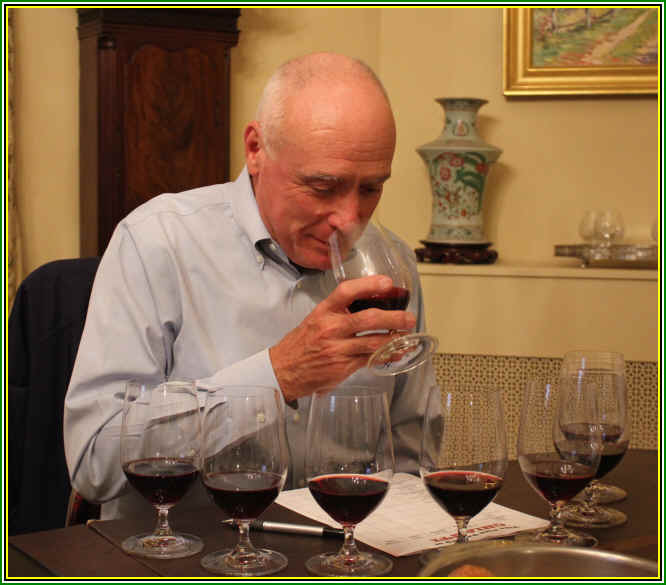 The line-up featured seven wines from the Chianti Classico region and one from the Rufina area. 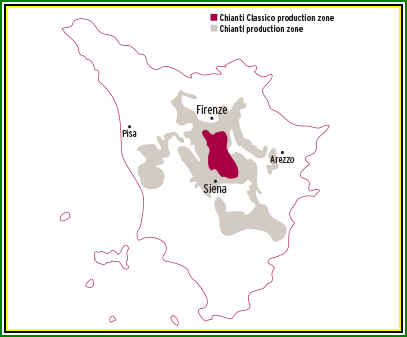 The most prestigious wines typically come from the Chianti Classico region, shown on the map below in red. 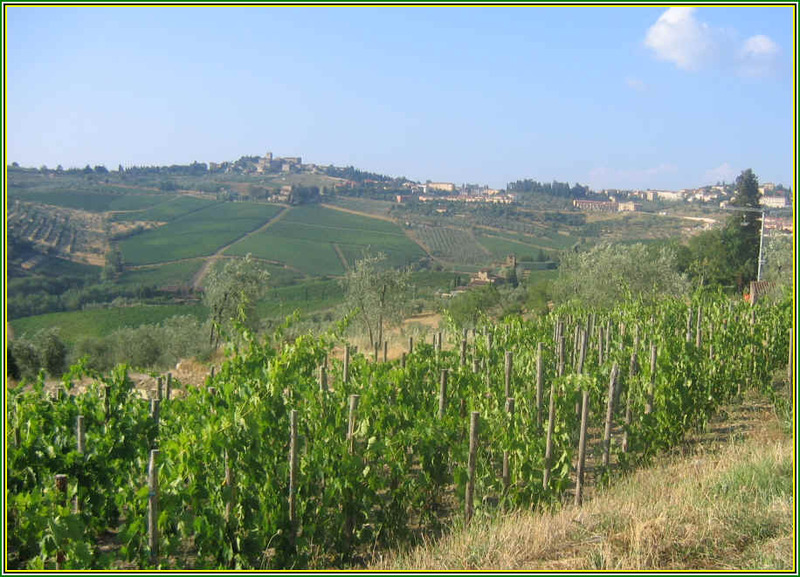 But there are other Chianti regions such as Chianti Rufina, Chianti Colli Senesi (near Siena), Chianti Fiorentini (near Florence), Chianti Colline Pisane (near Pisa), Colli Aretini (eastern part of Chianti), Chianti Montalbano and Chianti Montespertoli. And then there's a more generic "Chianti" appellation. Each is made predominantly of the Sangiovese grape. There are different aging requirements for each, but the various requirements are not hugely different. 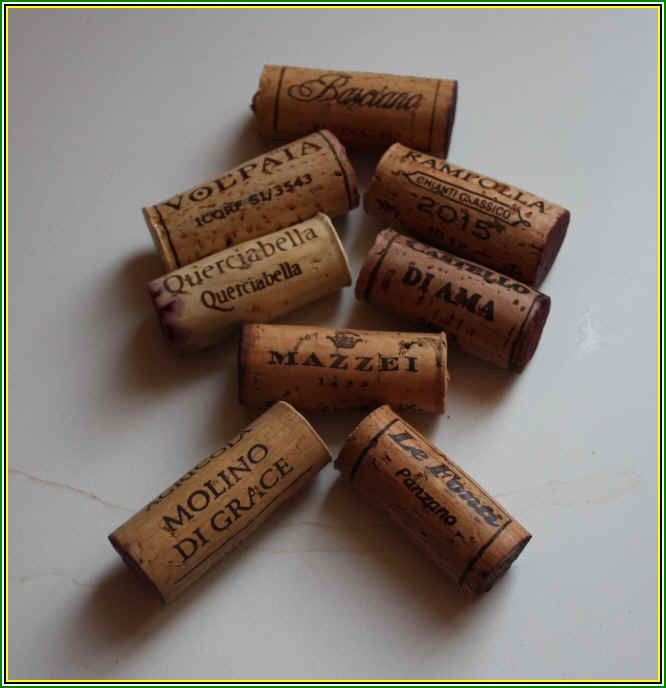 Chianti Classico has a slightly higher requirement for the amount of "dry extract" in its wines and the minimum time of aging before bottling is longer (10 months). One wine ran away with the tasting but the third place wine, well-liked by 5 of the 8 tasters, had two last place votes which prevented it from being at the top or much closer to the first place wine. Fifth place through last place were fairly tightly bunched, too. Clear in appearance and medium-light ruby in color, this famous winery makes some hugely expensive single-vineyard wines. This is their entry-level bottling and it offered but a simple, standard quality Sangiovese. I detected a bit of red fruit on the nose and the wine is dry and nicely acidic. 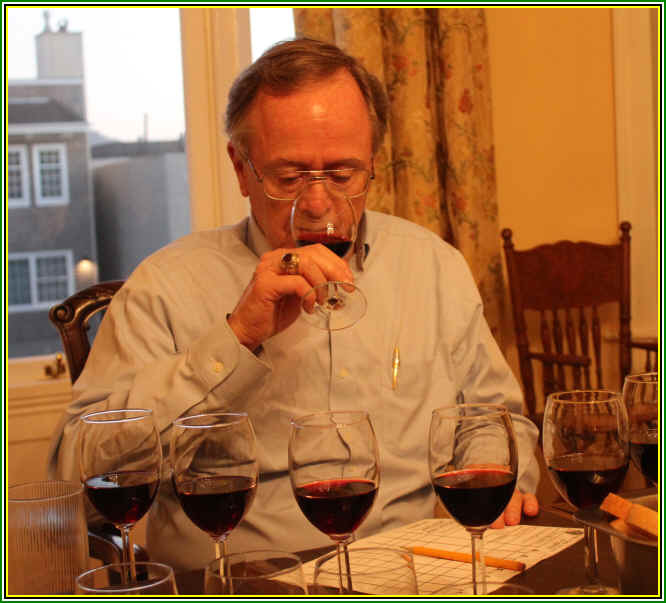 It's medium-light bodied with mild tannins and a bit of red fruit on the palate. This is fairly standard Chianti and might improve with additional time in the bottle. Presently, though, I gave it a one-half star rating on my three star scale. No stars is a standard, simple bottle of wine. Showing a light ruby color, this wine was clear in appearance. The fragrances offered a light cherry note and perhaps a vague suggestion of orange peel. No oak. It's a dry, tart red wine, typical of Chianti certainly. Medium-light in body...crisp, tart and simple with a touch of red fruit on the palate. It's ready to drink and a perfectly acceptable wine to pair with simple Italianesque foods. No stars. Clear in appearance and medium ruby in color, there's a lightly herbal note to the nose here with a dusty quality. It seemed to be a bit ripe, as well, with just a touch of a jammy note. The wine is dry and fairly tart with a lean, somewhat thin character. It's another standard quality Chianti with no particular distinction at this stage. Time may bestow greater interest here, but presently it is merely a simple, rustic Italian red. No stars. Medium-light ruby in color and clear in appearance, there's a mild red fruit fragrance here. It's dry and crisp, having medium-light body. 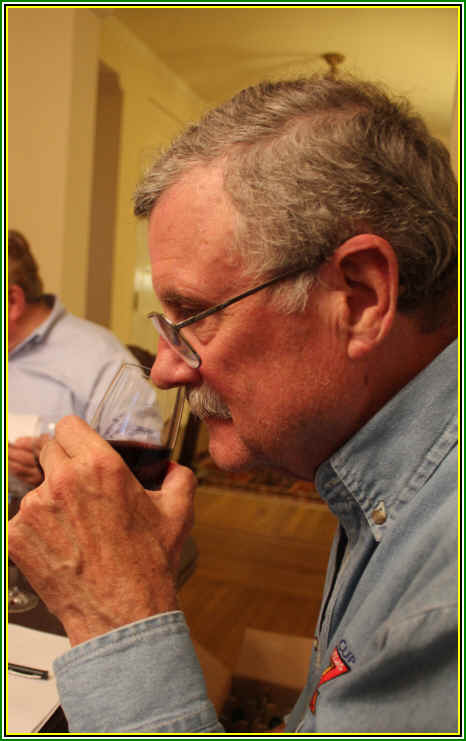 There's nothing particularly distinctive to its flavors, the wine being vinous and a bit shallow. This is another simple "Spaghetti Red." No stars. Clear in appearance and medium ruby in color There's a pleasant cherry-like fragrance on the nose. The wine is dry, tart and medium to medium-light in body. It's a shade above "standard" and seems to have a bit more depth than the lower ranking wines, but yet, now seeing it's a "riserva" bottling, I can't say it's any more special. I did give it a three-quarters of a star notation based simply upon its slightly more interesting flavors. Perhaps time will enhance this? 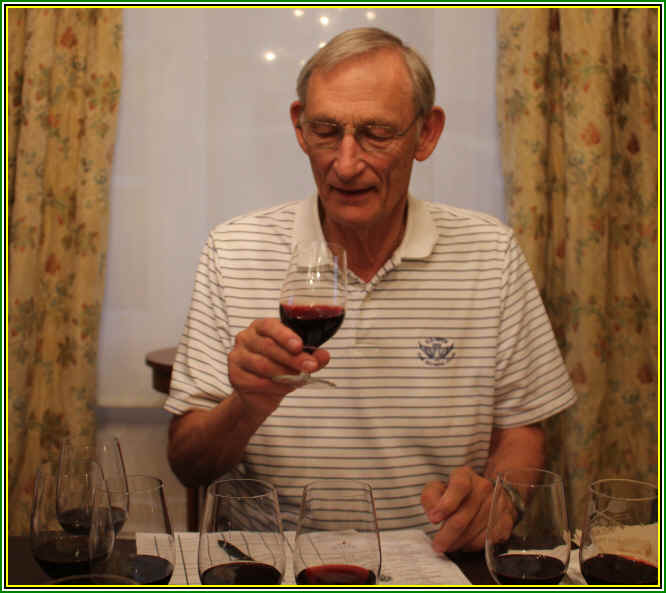 I've known the Masi family from the Rufina region since the mid-1980s and they've always made wines of charm. We included this wine in the line-up to see how it fares alongside the more prestigious and more costly competitors from the Classico region. It turns out it fares very well! 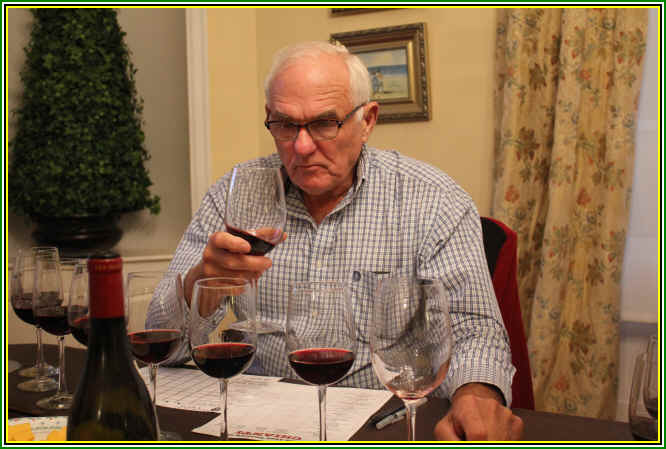 It was my top wine and four other tasters thought highly of it. But two tasters ranked this in last place, killing its chances for a first place finish. Medium+ ruby in color and clear in appearance. The wine shows a darker berry note than the simple cherry-like fruit of most of the others. There's a mildly woodsy note to this wine, too. Dry and slightly acidic, it's a bit fuller in body than the rest of the wines. Nicely intense on the palate with the flavors being in line with the fragrances...I gave this two stars. Very nice! Clear and medium ruby in color, the fragrances of cherry-like fruit and aromatic violets was quite enchanting. It's dry and mildly acidic, with medium+ body...I was a bit surprised how well this is showing as the 2014 vintage is viewed as a challenging one. Clearly someone was paying attention during the growing season and at harvest time! 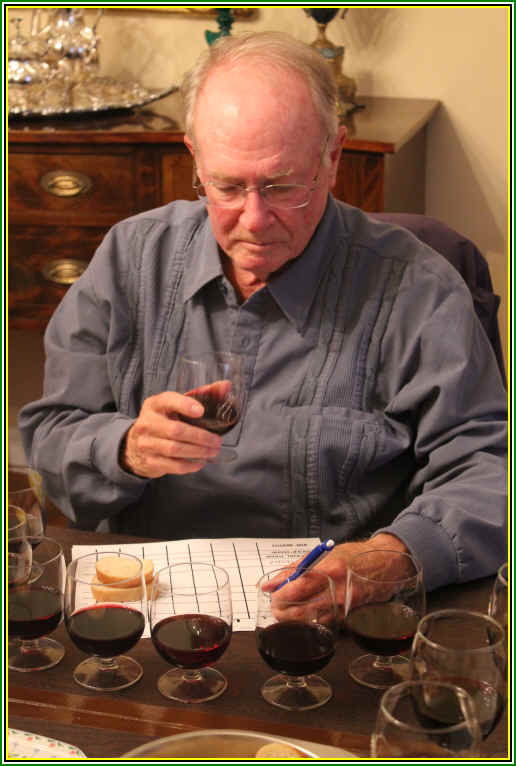 The wine tastes of dark cherry-like fruit and there's a mild level of tannin...the flavors are deeper than most and complete. It can certainly be cellared for 5 to 10 more years. Very fine! One-and-a-half stars to two stars. Bravo!!! Medium ruby in color and clear in appearance, this wine displayed fragrances reminiscent of cherry and raspberry-like fruit. It's got a ripe quality, but doesn't quite hit the level of being jammy. Rampolla is dry and nicely acidic, with medium+ body. 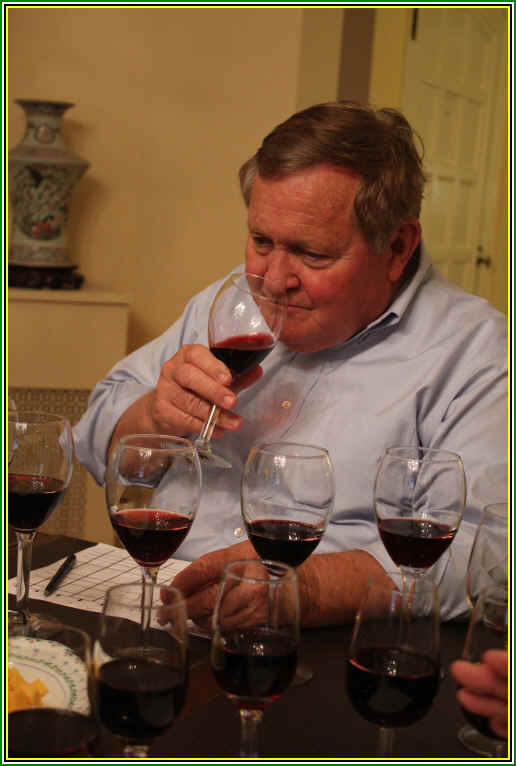 The flavors are consistent with the aromatics, red fruit! It's dry and mildly tannic, showing good cellaring potential, too. I gave it a one+ star rating. Very good. Time will likely confer greater complexity. This estate rountinely seems to have good wines and they've got a long track record.